1. Turn your bag carrier inside-out. 2. Spread the liner on the bottom side of the bag (the side without the handle). 3. Peel each adhesive tab and affix the Acci-Don’t to the material. 4. Turn the bag right-side out. 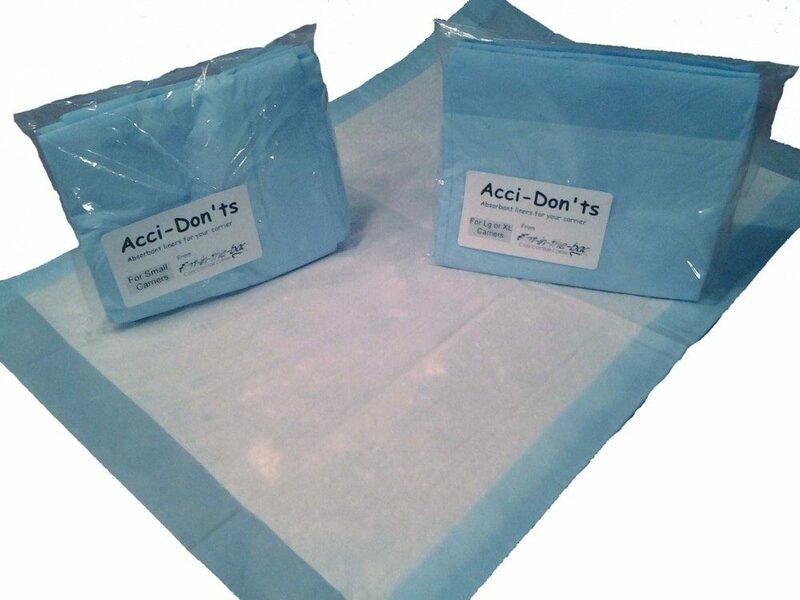 Acci-Dont’s are absorbent, disposable liners for your Cozy Comfort Carrier. If your cat has a history of accidents during traveling, Acci-Dont’s offer protection for your car seat, your clothes and the carrier. The liner has adhesive tabs and is easy to secure to the bottom side of the bag. Be the first to review “Acci-Don’ts: Disposable Liners for Cozy Comfort Carriers” Click here to cancel reply.